DBI Sala Distributor: Manufacturer Trained Supplier of DBI Sala Safety Products. DBI Sala are a subsidiary of the capital safety company, they have an excellent range of rescue harnesses and are generally considered to be the most popular harnesses in the world, being fully compliant with modern safety standards, these units represent Capital Safety's premium range of safety harnesses. 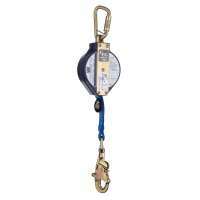 The Delta harness range represents the ultimate in fall arrest harness safety and performance. As a company, DBI Sala has a strong commitment to excellence and innovation when it comes to supporting their extensive range of fall protection solutions. Here at Resmar we are proud to be associated with DBI Sala and the Capital safety company, as they make products that are extremely high performance, from high-quality materials that are engineered to very high standards, in full compliance with modern standards and used by professionals the world over. We are very impressed with their patented triangular design, data analysis and corrosion resistance and many of their safety harness products are used all over the world. The DBI Sala safety harness range keeps improving and offering more advanced features to help keep people working at heights as safe as possible. 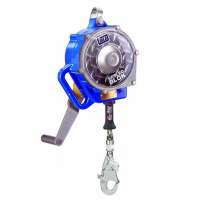 Their knowledge in the field of height safety and rescue is considerable and they offer a superb after sales service with all of their products.